MONTREAL -- Quebecor Inc. (QBRb.TO) is banking on new services in wireless and television broadcasting to fuel the growth of Videotron, while performance continues to slow in its media division. Ramping up for the launch of Fizz, a low-cost cellular and internet provider, and Helix, a new internet-connected television platform, the Montreal-based media giant said it is looking to increase the number of customers. Quebecor's new mobile phone plan provider aims to compete with brands such as Koodo, owned by Telus, and similar services from other telecom giants. Videotron's share of the Quebec wireless market sits at around 17 per cent, compared with nearly 30 per cent for Bell. Outgoing Videotron chief executive Manon Brouillette aimed to reassure analysts, who asked if Videotron would cannibalize its current customers and spark a decline in average revenue per user when Fizz comes on the scene. "We will not target the same customers," she said. "We believe we can be successful in both segments. Our challenge is to compete with other giants and their affiliates." Videotron said it can reduce costs with Fizz since it is self-service and sells only online rather than in brick-and-mortar stores. In addition to low-cost plans, the conglomerate's new service allows its users to roll over unused wireless data to the next month. "We will be able to generate significant margins thanks to this platform," said the manager of the key Quebecor subsidiary. Videotron added 41,500 mobile customers last quarter, helping to boost subscribers to more than 1.12 million. "Quebecor has the potential to increase its market share in Quebec and we believe that there are interesting growth prospects for the next few years," said Desjardins Capital Markets analyst Maher Yaghi, despite "disappointing media" revenue, which fell 8.5 per cent. 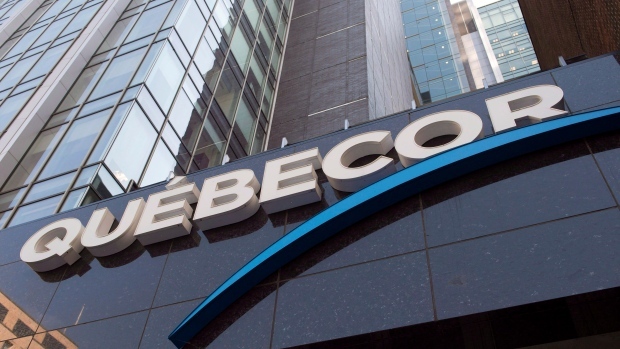 Quebecor reported Thursday that its net income attributable to shareholders increased almost five per cent to $186.7 million in the third quarter on strong wireless numbers and overall revenue growth. The company earned 80 cents per share for the quarter ended Sept. 30, up from 74 cents per share or $178.4 million a year prior.